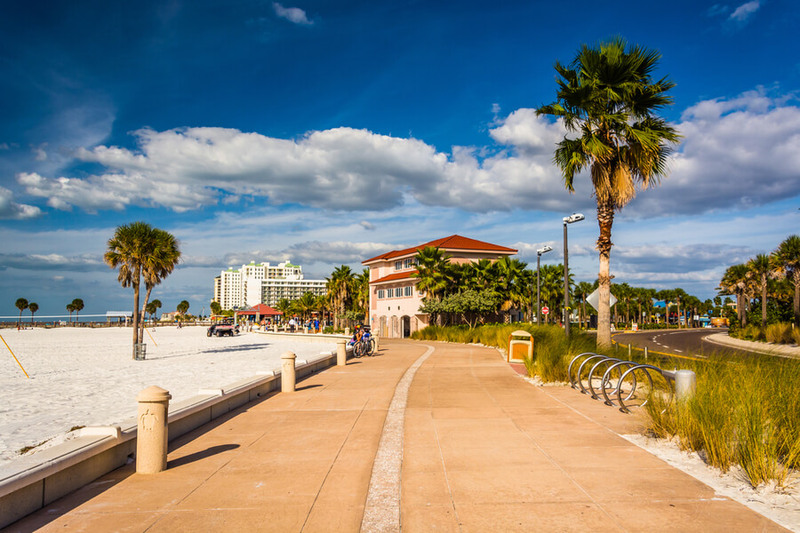 The Fairwinds treatment center is located in Clearwater, Florida. It was founded in 1984 by Dr. M K El-Yousef who is a specialist in addiction studies and psychopharmacology. This center was created to help young adults and adults suffering from substance abuse, addiction, mental illness, and eating disorders. Right from inception, this center has specialized in dual diagnosis treatment, treating patients who have a mental illness coupled with a substance abuse problem. There is a residential program where clients can check in and receive the best care available to help them recover. There is a detox and sub-acute detox treatment for patients who suffer from withdrawal, with round the clock supervision from doctors, nurses and staff, patients are guided through this process after detox special treatment plans are designed personally for each patient in the center. There are both inpatient and outpatient treatments offered in this center, the inpatient treatment lasts for up to 28 days. The dual diagnosis treatment is offered to adults from 18 years and upwards. AA & NA meetings are held off-site for patients who require them. There are a variety of therapies built to help each patient grow and adjust back into society. This center contains a residential area in which the houses are designed in a cabin like fashion for patients in the inpatient program. There are up to 30 beds in the residential area, the rooms are double occupancy with twin beds for both roommates. Each room contains a bathroom, dresser, and desk. Residents are in charge of taking care of their rooms and are expected to keep their beds made and neat at all times. There are laundry units available for residents to handle all their personal laundry anytime they wish to. The common room is one of the most comfortable places in the center, with a large TV and an even bigger couch, the halls are painted white in a clinical manner. In the cafeteria residents eat together, the tables are designed differently with some being able to contain 4 and others 8. The meals are served thrice a day; vegetarians do not have special meals but can get food which suits them from the snack bar. A special dietician is available to help patients with eating disorders, creating a specific diet for each resident with such issues. Residents stay for at least 28 days in this program, receiving treatment while being monitored by medical staff at the center, various therapies are employed to help. This program is for patients who have completed the inpatient treatment and are ready to be reintroduced into society, there are different classes to help patients set at different times throughout the week. Checking into The Fairwinds treatment center costs $19,600 for a 30-day stay. Additional costs may be incurred during patients stay. Insurance is accepted in this facility and the staff is available to help clients with various payment plans. The Fairwinds treatment center is accredited by the Joint commission. Dr. M K El-Yousef started this center to help clients who suffer from dual diagnosis, eating disorders, and substance abuse problems using the myriad of treatments made available. There are AA and NA meetings for those who suffer from addiction. There is an art therapy program to help recovering patients. Clients are given the responsibility of handling the cleanliness of their room and laundry, the compound is open and residents are allowed to take luxury walks around every once in a while. This center boasts of a capable medical staff that is capable of providing round the clock care to all patients that come through its doors. M.K. (Khal) El-Yousef, M.D is the medical director at the Fairwinds Treatment Center. He is a certified psychiatrist who specializes in addictions. There are over 60 publications to his name that he published while he was the assistant professor at Vanderbilt university and instructor of pharmacology. He uses his experience and knowledge to provide the best care to each of his patients. Dr. Pauline Powers is recognized as an expert when it comes to eating disorders, and as such she holds the position of the medical director of the eating disorder program at the center. She is the author of two books and more than 70 publications. She has been recognized by various associations having been awarded NEDA’s Lifetime achievement award for her work in the field. Dr. Gustavo J. Cuadra is a certified physician who works specifically with substance abuse and mental illness patients. Dual diagnosis is not new to Dr. Cuadra he knows how to take care of patients who suffer from this particular situation. He got his Bachelor of arts degree from the University of Miami and his medical degree from the University of South Florida college of Medicine. With these certifications and many others, he joined Fairwinds treatment center in 1997 and has been with them ever since.